Lawmakers have been moving forward with two bills that would address issues of nurse staffing levels, overtime and rest breaks. For years, nurses have gone to Olympia, imploring lawmakers to understand that staffing problems were placing patient care at risk. There are constant staff shortages that force nurses to forgo meals and bathroom breaks in order to properly care for patients. There are the 12-hour nursing shifts that grow longer due to scheduling issues. There are nurse-to-patient ratios that seem to grow more dangerous. Nurses returned to Olympia last week to reiterate those messages to the Legislature yet again. But this time they have more optimism that lawmakers are listening. Lawmakers have been moving forward two bills that would address issues of staffing levels, overtime and rest breaks. Both measures have passed the state House and are getting attention in the state Senate. The issue of nurse staffing was a component in a recent Seattle Times investigation of the neuroscience institute based at Swedish’s Cherry Hill facility. The Times stories exposed a range of problems that arose as the neuroscience institute dramatically grew the number of surgeries it was performing. Nurses have reported how Cherry Hill staffing levels didn’t keep pace with surging patient workloads. 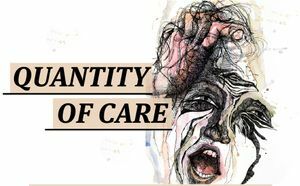 For example, patients in the ICU who would typically get one-on-one care have been watched by nurses caring for a second patient, staffers reported. Nurses have long sought legislation that would establish nurse-to-patient ratios, giving hospitals around the state minimum standards to follow. That still isn’t happening, but the two sides have come together on a bill, HB 1714, that would give more power to internal hospital staffing committees. Those panels already help set standards for how units should be staffed, but nurse advocates say the guidelines are often ignored or bypassed. The new bill would give staffers the power to request a state investigation if hospitals don’t comply with staffing plans finalized by the hospital. The plans also would be filed with the state, giving the public more information about each hospital’s staffing levels. On Thursday, the Senate Health Care Committee voted to advance that bill. It passed the House earlier this month on a 61-36 vote. Nurses at Cherry Hill who work to support the facility’s busy operating rooms have also reported facing issues with extended workdays, sometimes working 20 hours in a 24-hour period. Research shows that long shifts can lead to more mistakes. More than a decade ago, to protect patient safety, Washington lawmakers prohibited hospitals from requiring nurses to work overtime except in unforeseen emergencies. Cherry Hill staffers have reported that they consistently had to work on-call shifts for cases they believed weren’t emergencies. Ron Cole, a nurse at Cherry Hill who works in various units and also is on his union executive board, testified about that on-call loophole at a hearing in Olympia this past week for HB 1715. He said the issue of nurse staffing was now being examined as part of investigations happening at Swedish. Leaders from the Washington State Nurses Association and SEIU Healthcare 1199NW agreed that the problems were widespread. A Swedish spokeswoman said Friday that the medical center limits the number of days a nurse is on call and has established provisions that allow nurses to opt out of a shift after being on call. The bill also requires rest breaks for nurses. Suzanne Woodard, a labor-and-delivery nurse from Providence Regional Medical Center in Everett who is a member of union UFCW 21, testified that she faces understaffing almost every shift she works. She said sometimes she goes her entire 12-hour shift without ever going to the bathroom because she’s stuck at the bedside with a patient. She said the short staffing creates challenges for everyone. 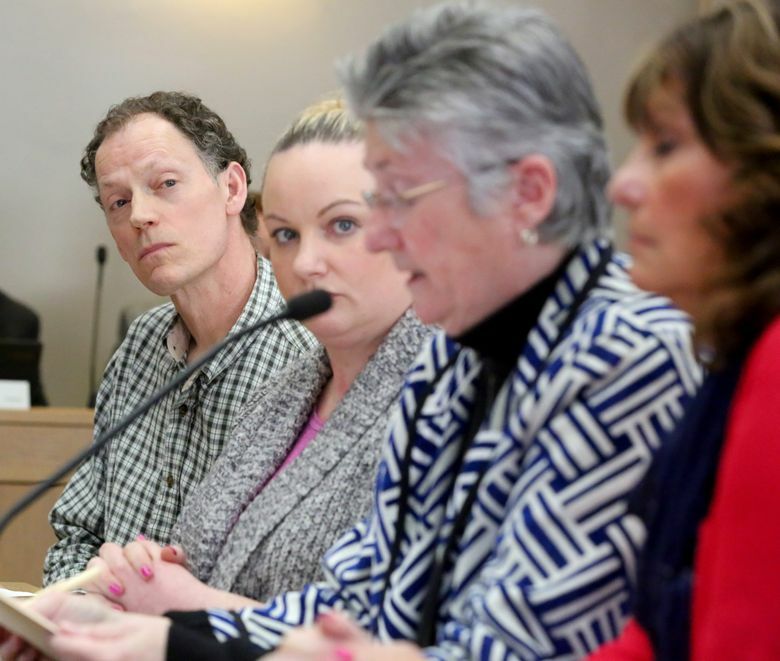 Lisa Thatcher, a lobbyist with the Washington State Hospital Association, testified against the measure, saying that required rest breaks would force hospitals to hire a wide range of additional staffers from surgical technologists to respiratory practitioners and more. “If you have to hire an additional person to each of those, it gets to be tremendously expensive,” Thatcher said. Thatcher said that’s not the impression she wants to leave. She said they are not opposing meal and rest breaks for workers but opposing how the bill is written and its impacts on hospitals. She gave an example that rest breaks under the bill are supposed to be “uninterrupted,” but there’s disagreement over what an interruption is. Sen. Michael Baumgartner, R-Spokane, who leads the Commerce, Labor and Sports committee, said in an interview that the testimony he heard from nurses was concerning and it’s an issue he is interested in exploring further. He said the bill appears to have some complications that need to be resolved around the potential legal ramifications for hospitals and the impact on smaller rural hospitals. Baumgartner said he doesn’t intend to move the bill out of committee this year. Meanwhile, nurses at Cherry Hill are still working to address their own issues. “We need you to hear us and take the appropriate actions to bring about improvements in our working conditions,” the nurses wrote in a memo obtained by The Times. The nurses cited the remarks of interim CEO Guy Hudson and others who have said in recent weeks that Swedish wants to have open and honest dialogue between leaders and staffers. Hudson has been holding town-hall type meetings with staffers at Swedish campuses and said he was working to rebuild trust among the staff members across the institution. Mary Beth Lowell, a Swedish spokeswoman, said nursing leaders and the human-resources department are connecting with staffers who sent the letter to better understand and address the issues. Earlier this week, the union SEIU Healthcare 1199NW told members that Swedish was seeking to have three corporate attorneys interview nurses without union representation. The union encouraged members not to attend the interviews alone. “The information you provide could be used against you by Swedish, especially as Swedish is trying to divert blame for recent media coverage,” the union wrote in the message to members. Lowell said the interviews are completely voluntary and are part of the organization’s commitment to investigate the issues raised in the Times stories. “We are meeting with caregivers in these departments to hear directly from them and learn where there may have been issues and where we can improve,” Lowell said in an email. She said caregivers are welcome to have a union representative present.